Samoyeds are not guard dogs. Ch. White Magic's Dirty Dancin' "Swayze" is a new Champion! Ch. White Magic's Dirty Dancin', "Swayze" finishes her AKC Championship on her 13 month old birthday! 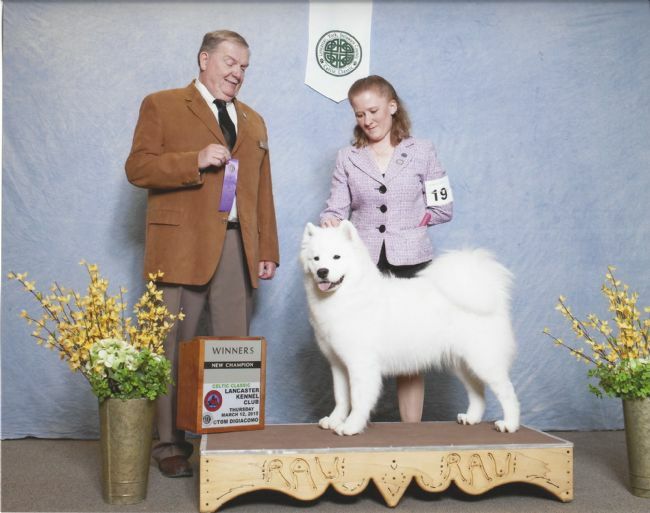 "Swayze" finished her Championship at the Lancaster Kennel Club dog show 3/12/15 the day before the Antietam Creek Samoyed Club Specialty! "Swayze" is a Baloo x Dani puppy!